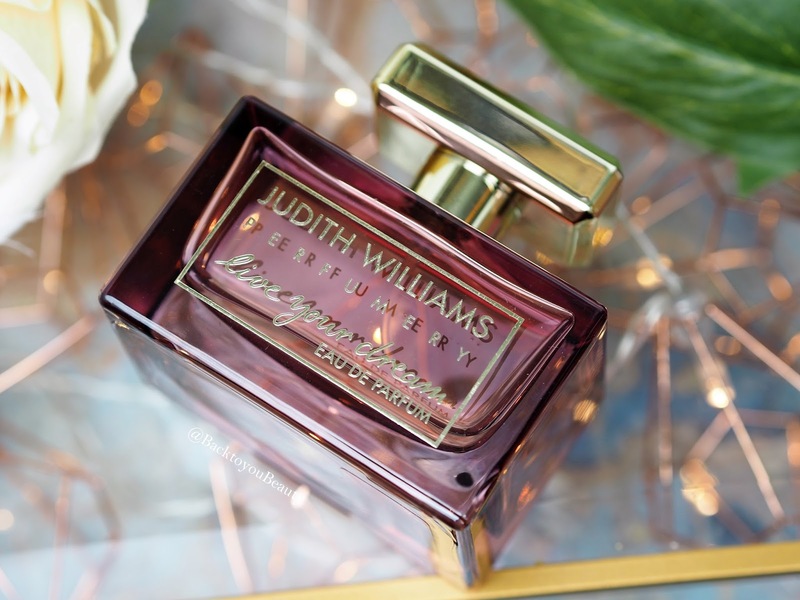 Judith Williams is launching Live your Dream 100ml EDP in the UK on 25th October 2017, and I have to admit, out of all of her fragrances that I have written about previously Here, and Here, this one is my favourite. Fragrance can be a very hard thing to write about as it is so personal to everyone. It wears differently and smells differently on everyone. However, what I can do is tell you all about the notes it contains and how it wears and sits on my skin. 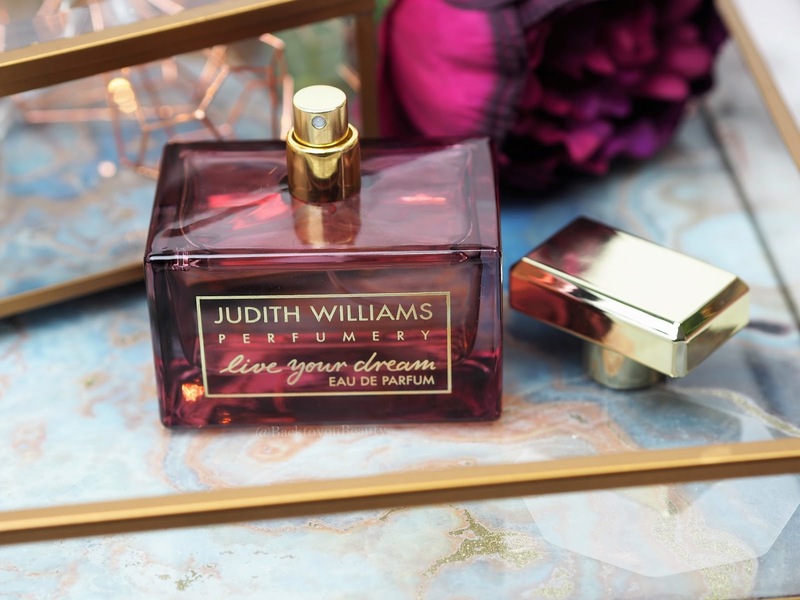 Live your dream not only has a great name and is Judith’s slogan for life, but also an ethos that I live by and encourage my children, friends and family to do so. 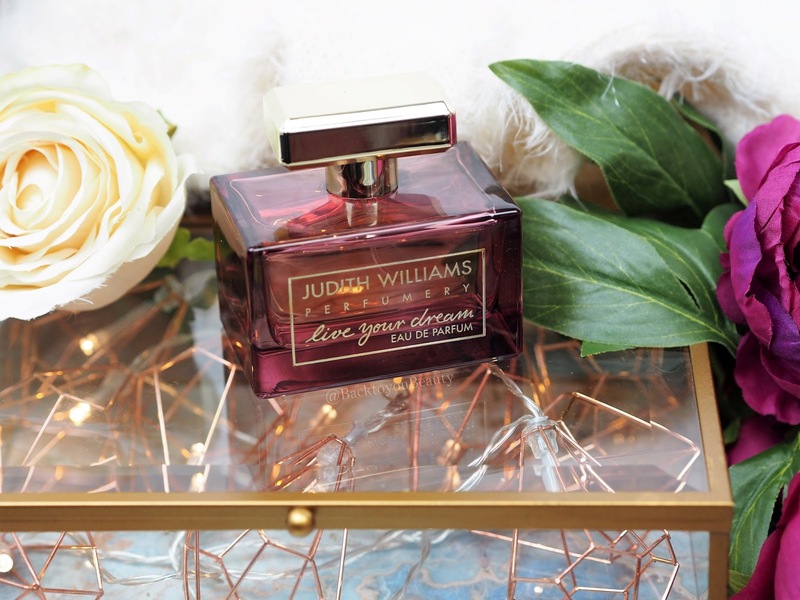 The fragrance looks incredibly luxurious and beautiful on the dressing table. Housed in a beautifully cut, coloured glass bottle, with gold coloured detailing, this really looks and feels like a high end fragrance. “Live your Dream is a fragrance that enchants you and embraces the joy of life. Light-hearted and full of spirit it radiates a sensual seduction. Exciting, yet gentle, this perfume enchants you and spreads a warm sensuality and elegance. Anything containing Tuberose has me, it is a floral that I absolutely adore, along with the scent of Coconut so I knew this blend was going to be quite special. On me, the first spray hits my senses with the notes of Coconut and Vanilla, and then immediately the Tuberose comes through. I find it lasts a good 6 -8 hours as it is an EDP. This really is a sensual, floral scent, that is more of an evening fragrance for me, a real neck nuzzler. If you love those heady, warming, holiday scents you will absolutely adore this. "The Pixi Beauty Skintreats Edit – My skincare favourites"
"Philosophy QvcUK Christmas Tsv Collection – 5 Piece Layering Collection"
The bottle looks huge! This would make a great Christmas pressie. My favourites tuberose and coconut think I need to try this. This sounds like such a lovely scent combination. I love fragrances with orange in and I like coconuts too! What a gorgeous bottle and scent description – I will have to try this! As soon as you mentioned coconut I thought that sounds right up my street and not a bad price for 100ml edp.